Located in Medford, Massachusetts just 5 miles from downtown Boston, the Old Medford High Condominiums offer modern features in a unique building with a rich history. 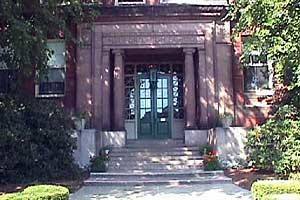 The building was built in 1894 and originally functioned as the high school for the City of Medford. It was converted into condominiums in 1984. Features include garaged parking, tennis courts, a sauna, an indoor heated pool, laundry facilities, and an onsite management office. We are primarily a homeowner-occupied community, with only 20% of units permitted to be rented at any given time. No short-term "hotel-style" rentals are ever permitted. Our pet policy is also a nice feature. Although no dogs are permitted, many residents have cats, birds, and other indoor animals. Such indoor pets remain inside the units at all times.